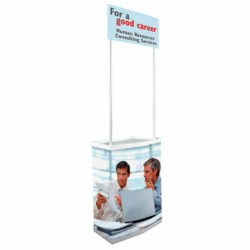 Portable Counters – Trade Show Counters | Multiple Style Options to Enhance a Display – Promotional counters are ideal displays for any trade show, traveling exhibit, or in-store display. Use these promotional counters to distribute samples, demonstrate products, or hand out literature. 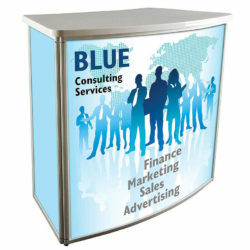 We sell these promotional counters with carrying bags for easy transportation and storage. These promotional counters take just minutes to setup and require no tools for assembly.